A remodel can be a simple update or an elaborate project that may change your entire floor plan. 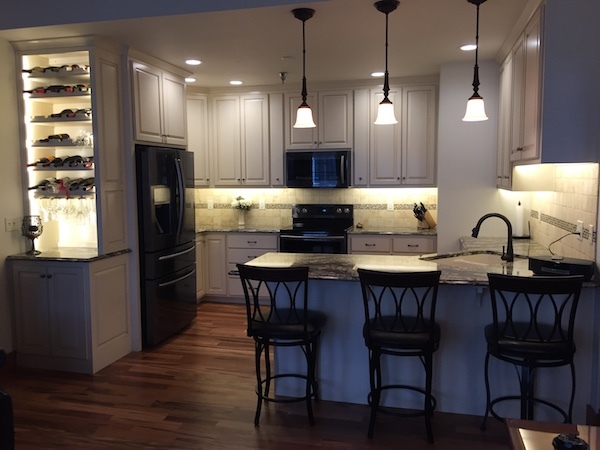 Schneider & Schneider Construction, LLC can service any scope of remodeling project, from kitchens and baths to recreation and utility rooms, and from window and door replacements, to re-siding the exterior. Whether your dream is additional living space, an extra bedroom, sunroom or deck, we can create that space for you. We work with our professional trade partners to match your design ideas to your homes' existing structural requirements. We also offer " Handyman" service to the elderly or anyone who needs help with small jobs such as replacing a screen door or lockset, to adding grab bars in bathrooms, or emergency repairs of storm damage and much more. By working with Schneider & Schneider Construction we will provide step by step guidance and service to complete your project on time and in budget, ensuring complete satisfaction.